After a great turnout in the Indonesia Mengglobal Annual Seminar in September 2017, Indonesia Mengglobal got another chance to have one of the speakers shared her thoughts in writing. 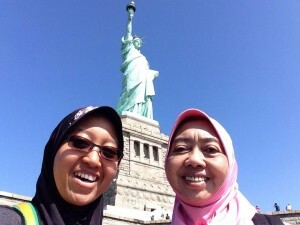 Amongst the various topics discussed, here are valuable learning lessons that Ayu reflected on her study abroad period in the US and how it has helped her make impacts in her field. Q: Why did you study MBA? And how is that relevant to your current role in non-for-profit? A: This is an interesting question because to answer this I have to go back to a conversation that I had with my mentor a few years ago, right after I finished my one-year teaching deployment in a remote island of Indonesia. Before that assignment, I had a 5-years of a career in Procter & Gamble, most of it was in Singapore. The teaching experience was a life-changing one. I wanted to do more for the country, but I didn’t know how. I was thinking whether I should go back to corporate (which I enjoyed very much), or to continue being a teacher, or to apply as a civil servant, or to pursue Master’s degree, etc. My head was buzzing with many options but none of them satisfied me. So I asked this to my mentor, ‘if you were me, what would you do?’. So I decided to pursue an MBA degree, and I wrote in my personal statement that I would be using my MBA knowledge in not-for-profit sector. That conversation was a huge help in narrowing down my choices. It was easier to pick schools because I can choose the ones that have good social entrepreneurship courses. Q: Did you get any scholarship? How difficult was it to get scholarships for MBA? A: Yep! I am blessed to have gotten two scholarships (Fulbright Scholarship from the US Department of State, and Keller Scholarship from Duke University). MBA in the US is extremely expensive, and Fulbright scholarship was not enough to cover it. Luckily I got Keller Scholarship, so I could use Fulbright to pay for my living expenses, and Keller to pay for my tuition. Fulbright Scholarship, in my impression, put a lot of importance on social impact. So I guess my background (had teaching experience and founded SabangMerauke -my own non-for-profit organization) helped a lot in building the case that I will use the MBA knowledge for social impact. To be honest, I am not sure how difficult it is nowadays to get scholarships for MBA, but I am sure there are ways. I have met more than enough people who went to their MBA with scholarships. Worst case, there are loan options. Q: What is your suggestion if I want to take MBA? A: There are several questions to be answered before deciding to take an MBA. MBA is an expensive investment, not only in terms of money but also in terms of time -it will take a big chunk of your life. The first one would be WHY do you need an MBA. Some people need MBA so that they can advance in their career. Some would want to switch career. Some might want the network and the ‘stamp’. Whatever your reasons are, be honest with yourself whether you really need an MBA. Have discussions with your mentors and friends, and have reflections on yourself. The second one would be WHEN do you need an MBA. If you go to MBA too early, you won’t be able to absorb the knowledge as much. In my experience, one of the biggest learnings I got was during class discussions, when my classmates were sharing their experiences working in related projects/areas with the case study that we were discussing. Because I had previous working experiences, I could relate to those stories and I could internalize the learnings better. However, if you go to MBA too late, you might have run into two dilemmas: 1) most scholarships have age-limit, and 2) the older you are, the higher you are in the organization’s ladder, the higher the opportunity-cost for you to leave your job for 1-2 years. There are some part-time MBA programs that cater to this particular needs that you can check out. Of course, there is no such thing as “the right time” to take your MBA, but for your reference, I took my MBA with 7 years of experience. The third one would be WHERE do you want to do your MBA. The answer really depends on what you want to get out of your MBA experience. Imagine a Venn-diagram: the first circle is YOU, and the second one is SCHOOL. What are the themes that you and the selected school have in common? You will need to create as many Venn-diagrams as the schools that you want to apply to. Pick the schools that you want to apply and tailor the the right themes in the intersections. And these are the stories that you need to highlight in the essays. For instance, I wrote in my personal statement that I wanted to start my own consulting firm for small and medium enterprises in Indonesia (of course this dream has long been revised but I’ll still mention this for illustration purposes). The themes that I put in YOU circle are “social impact”, “education”, “entrepreneurship”, “business”, “Indonesia”. And then I wrote down the themes of each school that I was eyeing for, such as “entrepreneurship” for Haas-Berkeley, “social impact” and “collaboration” for Duke-Fuqua, ”education” for Boston University, etc. And then I customized my essays for each school accordingly. I emphasized different aspects of my future plan in different essays. Note that my long-term plan was still the same, but I picked different angles to tell the story. I wrote in my Berkeley essay that I will learn how to start my own company based on my interactions with classmates who want to be entrepreneurs too; I wrote in my Duke essay about how I could create bigger social impact if I am able to materialize my future plan; and I wrote in my Boston Uni essay how I would be glad to be able to educate and facilitate other entrepreneurs on how to do their business better. The other aspects of choosing your schools are the people. This aspect is equally important to the ‘theme’ aspects because you will spend a good 1 or 2 years in the school. And MBA is *not* a holiday. You will have to work hard: cram in the library with mountains of pre-reads, have endless evening meetings with your teammates trying to finish assignments and raise your hand to give smart comments in the class in order to get participation scores. You will have a horrible experience if you don’t like the people. The only way to gauge this is to meet the alumni. Get yourselves introduced to them, and see whether you can see yourselves working with (and having fun with!) them. Alumni is usually a good proxy to see the kind of classmates you will have. Q: What’s your thought about studying in Indonesia vs. abroad? A: Definitely there is no right or wrong answer on this one, but if it were up to me, I would suggest going abroad if your circumstances permit. Why? Because going for a Master’s degree is not just about the lessons you get in the classroom. Nowadays with the magic of the internet, you can get pretty much every knowledge you want to get in those MBA classes. However, what can’t be replaced is the experience. The experience of meeting up and getting to know and making life-long relationships with people from different parts of the world, the experience of being away from home and speaking in a foreign language and missing Indonesian food, the experience of struggling and enduring all the hardships; these are priceless. Those experiences will shape you and will make you a different (hopefully better) human being. If you have a family, it will be a wonderful experience for you, your spouse, and your kid(s) to live in another country. Plus, traveling abroad and experiencing the four season will create great memories. I am such a tropical girl, but I love playing in the snow during winter, take endless pictures of flowers in Duke Garden during spring, and listen to the crackling sounds of the dry fallen leaves as I walked on them during fall. Personally, I felt that my biggest gain from my MBA is that how much I have changed as a person because of the two-year journey in Duke. I become a lot calmer, kinder and more approachable, and in general more relaxed when facing unexpected situations. Let me know your thoughts, and also feel free to shoot me more questions to ayukartikadewi@gmail.com. 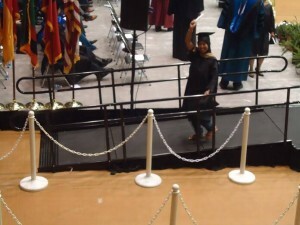 All the very best for your future endeavors and enjoy the journey! Previous articleChoose Your Elective Courses More Seriously! Ayu Kartika Dewi, mostly known as Ayu, is currently the Managing Director of Indika Foundation. 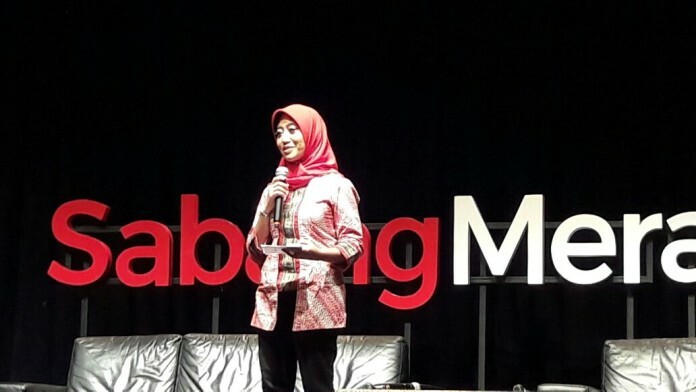 She’s had various roles and experiences in the professional world; starting at P&G in Jakarta and Singapore, teaching for Indonesia Mengajar, co-founded SabangMerauke (a non-profit organization that promotes cultural diversity experience for young Indonesians), and a couple strategic positions for the Indonesian government. 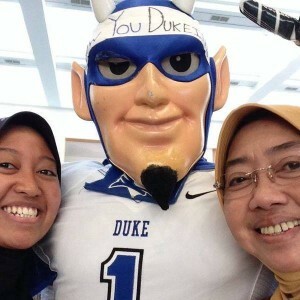 In pursuing her education, she obtained an MBA degree from the Fuqua School of Business at Duke University in 2015, sponsored by the Fulbright program and Keller Scholarship. Recently Ayu was selected to represent Indonesia in Future Leaders Connect 2017 in UK (out of 11,000+ applicants from 11 countries). Ayu was awarded Wardah's 10 Inspirational Beauty 2017 for her work in education, and MNC TV's 10 Heroes for Indonesia for her work in pluralism, and was named as one of 13 young people who "will paint the future of Indonesia in 2045" in Tempo Media Week 2017.